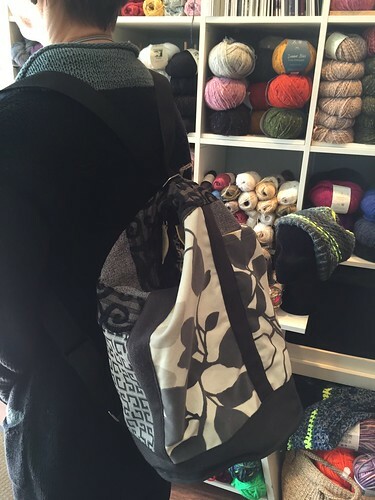 I am sure you have noticed by now all the backpacks popping up in the fashion scene in many different shapes, styles and sizes. 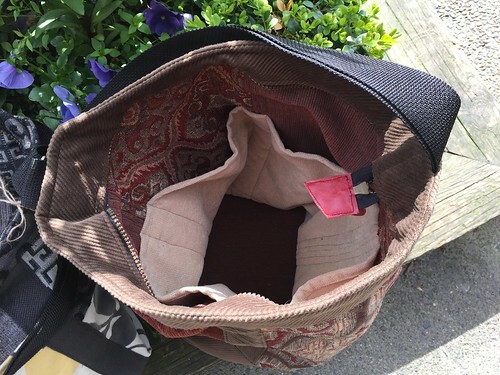 They are the new “it” style of handbag and of course us knitters love our bags but we also love to be in style, so let me introduce you to our newest edition from KAS Designs-the Tote bag/Backpack. They are so beautiful and functional that it will be very hard to decide what your priority use will be for….knitting or the everyday? Lots and lots of pockets to keep everything organized. Here it is worn as a backpack. 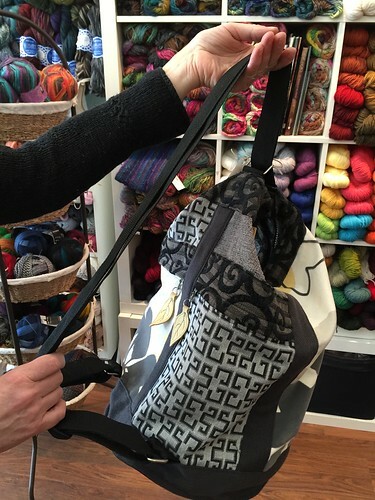 The straps easily adjust/slip into a tote bag strap that can be worn over the shoulder. Gorgeous attention to detail-zippers and leather pull tabs. 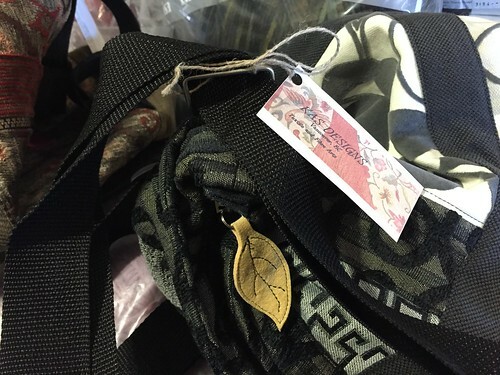 We don’t have very many in our PG store right now, so you must come check out these one of a kind vintage bags before they go!! Despite a few less than stellar days, it has been starting to feel like Spring here in Vancouver (er, sorry to those of you who live elsewhere.. it will get better? 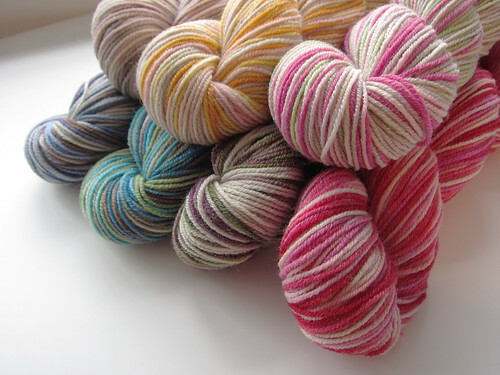 ), and the fine folks at Spud & Chloë had the excellent foresight to send us some properly Springy yarn! 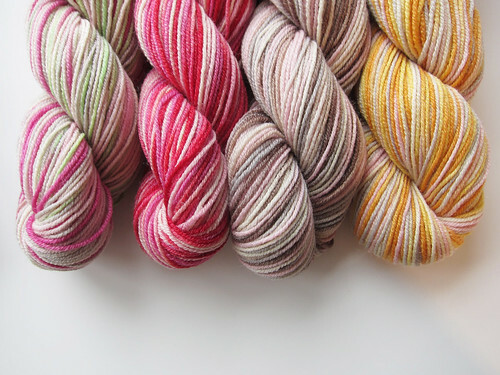 This is the new Spud & Chloë Stripey Fine – the same base Fine yarn that we all love, done up in some really bright, cheery variegated colourways. 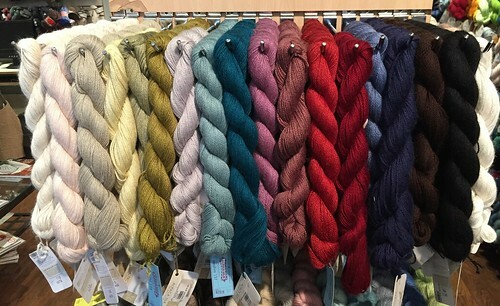 I’ve long been a fan of the superwash 80% wool/20% silk blend, and have used it in countless cowls, shawls, scarfs, socks, and other accessories. These new colours just add such a cheerful twist! And Blueberry Cheesecake, Mint Chip, and Grape Freeze. Aren’t the colours (and the names) just delicious? 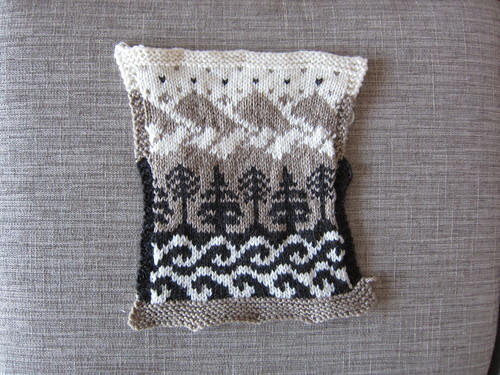 After swatching, the next step is knitting! 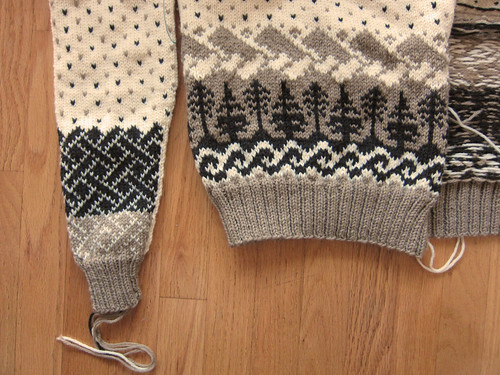 For this particular sweater, I decided to work the body to the underarms, and then the arms, before joining for the yoke. Now, I know that body-first can be risky, and if energy fails, the project is liable to turn into a vest. In this case, however, I hadn’t actually designed the sleeve motifs yet, so body it was! And since all my swatching had gone according to plan, it was a breeze! I could just follow along from my charts. You can even make out the waves, some trees, foothills clad in fog, and soaring mountains! Body done, I moved onto the first sleeve. Not bad, eh? I really like how the geometric pattern came together. Let’s even have one more shot of that. So good! I plowed on through most of the second sleeve. I messed up the colouwork. 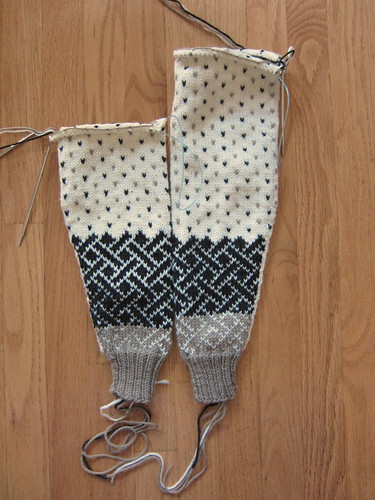 On the second sleeve, I transitioned colours too early, and now the sleeves don’t match. 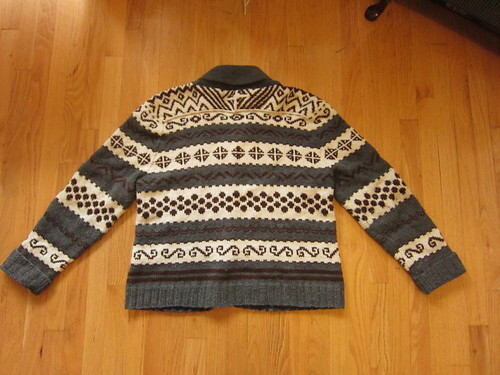 And to be completely honest, the sweater has been in time-out in the knitting bag ever since (this was a few weeks ago). With school ramping up, and other things going on, I just couldn’t stomach ripping out a whole bunch of colourwork. I’ll come back to it soon, once I can have some breathing room from it. Naturally, I cast on something else to keep busy with in the meantime. 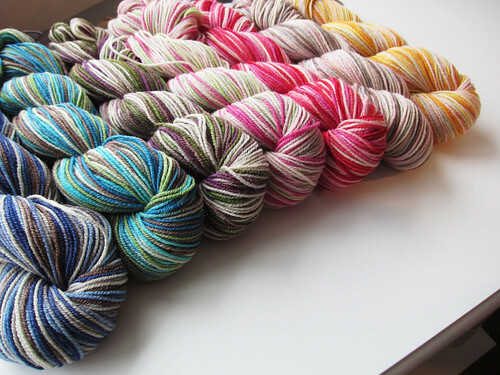 This is Neon Beast, by Veera Välimäki (one of my knitting icons), in Madelinetosh Tosh Sock. And yes, it is just zooming along. 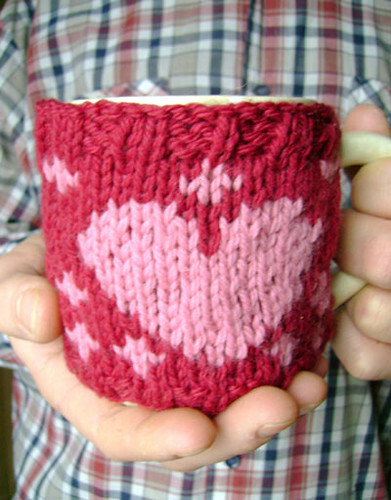 Nothing like garter stitch to fall in love with knitting again. Hi all, spring is definitely in the air….literally, the streets of Vancouver are in full bloom with cherry blossoms and wonderful smells. This is when Vancouver truly shines- the sun is out, it is getting warmer, the mountains look gorgeous, all the flowers are budding, everyone is enjoying the outdoors, patios filling, while everywhere else in Canada and especially the East coast are still berried in snow!!! I love this time of year as it means the rain/snow SHOULD be over (I hope that I didn’t just jinx myself). I love all of the flowers, the smiling faces and especially all of the colours. 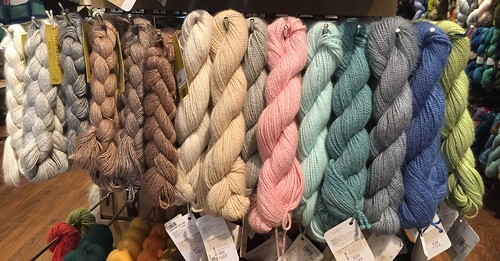 So I thought that I would share with you the Patone colours of Spring 2015 and as you will notice this filters down to the yarn world too. 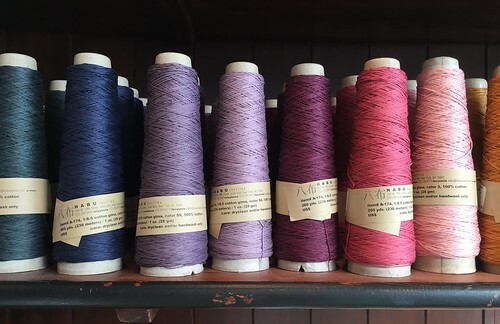 Most yarn brands follow these trends and you will see this reflected in new and fresh colour ways that follow the seasons. 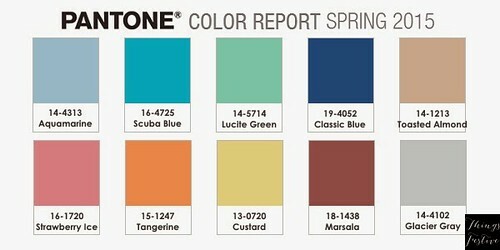 The Spring 2015 Patone colours. Reflected in the Fashion world. 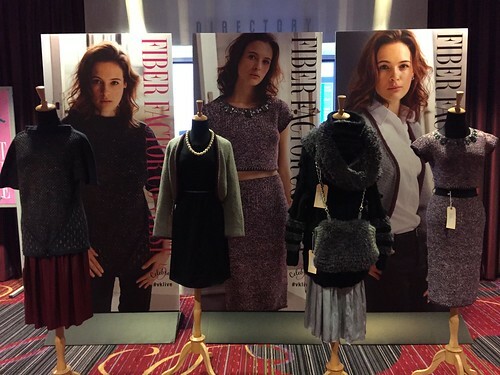 “This season there is a move toward the cooler and softer side of the color spectrum. An eclectic, ethereal mix of understated brights, pale pastels and nature-like neutrals take center stage as designers draw from daydreams of simpler times. Remembrances of retro delights, folkloric and floral art, and the magical worlds of tropical landscapes restore a sense of well-being as we head into warmer months. 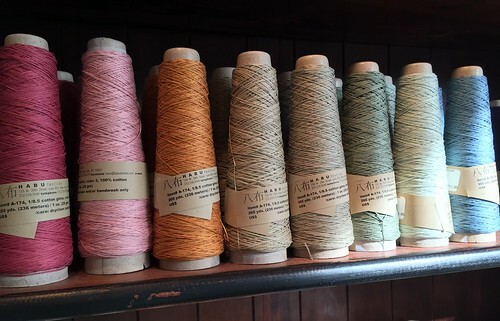 Now let’s see how this shows up in the yarn world, here are a few examples from the shop. Where did we leave off last time? I think I had shared a bit about my first swatch and then left you with a nice teaser that today we would be talking about motif and design. 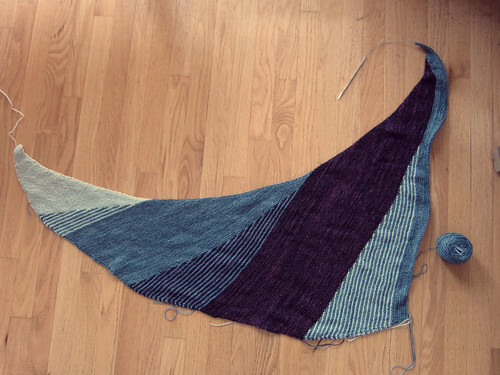 You may recall from any conversation with me ever that swatching is kind of important. It is a playground for experimentation through trial and error. I keep most of my swatches, whether successful or disastrous, because they are always learning experiences. 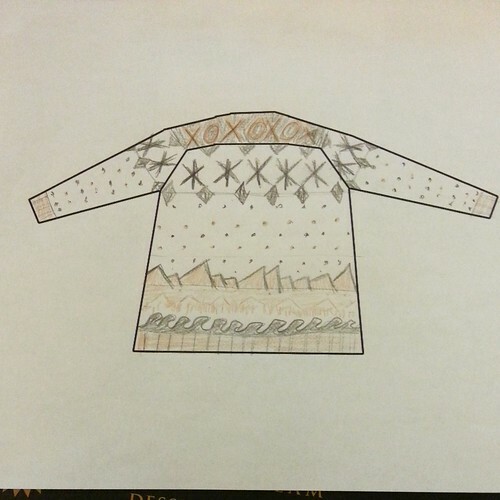 Before I get ahead of myself, here is a coloured sketch of the general sweater idea (this is the back of the sweater). You can more or less make out the waves, trees, and mountains rising from the lower edge of the sweater, and transitioning into… something. I didn’t quite get around to planning every detail yet. With that, and after some extensive colour-mapping, I got to work. And wound up with a pretty decent swatch! I did make some changes to the design as I went, but this kind of planning allowed me to re-check my gauge, and helped give me a willingness to modify motifs on the fly, since I had a pretty solid grasp of how the fabric would alter. 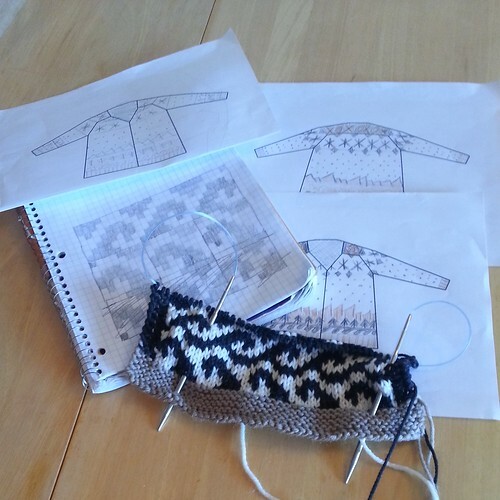 I’m going to leave you with a few more photos of my sketches for the time being, because I really do have to get back to work… Next time I promise I will have an actual progress update on the knitting of the sweater itself! (Hint: It’s not done yet… there are rocky seas ahead). 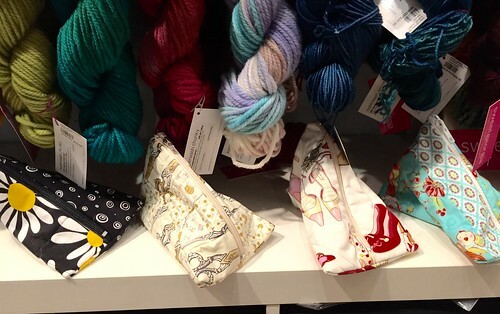 I am so pleased to tell you all that we have a new line of project bags in store. What makes them even more special is that it is one of our very own staff that is making them!! 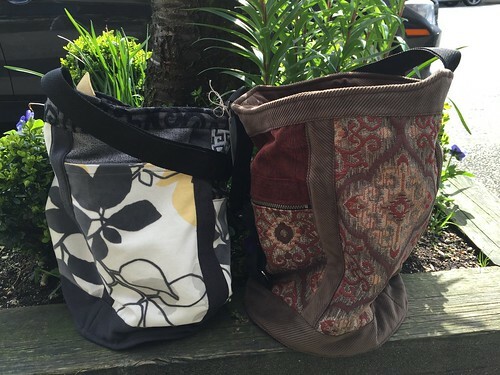 For those of you that frequent the North Van shop you already know Valerie Jeffrey, but for those of you that haven’t ventured over there, let me introduce you to her and her new, gorgeous project bag line- Valerie’s Closet. 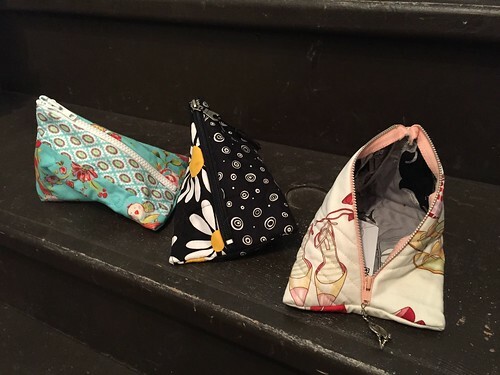 These are the “Snap” bags. They have a magnetic strip closer, that easily snaps open and closed. 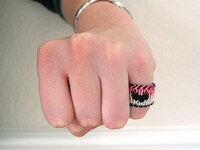 As you can see they come in great, fun, funky fabrics, are the perfect size, lightweight and super functional! 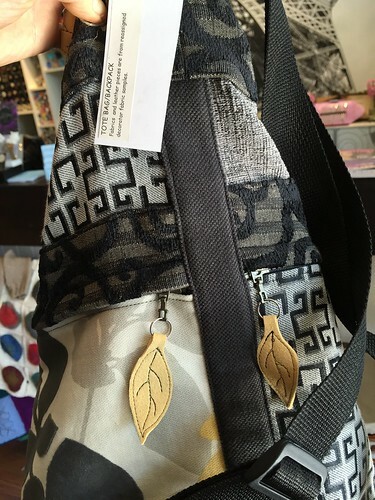 Next are the “Humbu” bags. 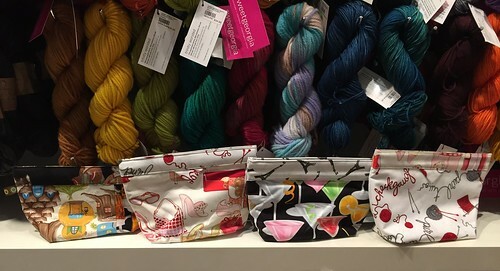 These are smaller than the Snap bags, perfect for socks and knitting accessories and tools. They are made of a heavier, almost quilted like fabric with a zipper closer. 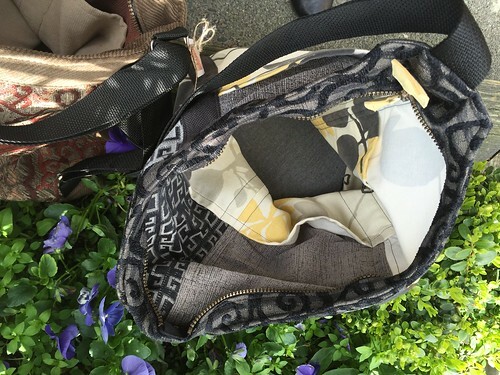 Each one of Valerie’s bags are unique and honestly a work of art. I was so fortunate to have won one in our secret santa Christmas party one year (sorry to whom ever I stole it from ) and I covet it…it actually sits on my fire place mantel it is so gorgeous! A few weeks back, I introduced a new project of mine with a little backstory. 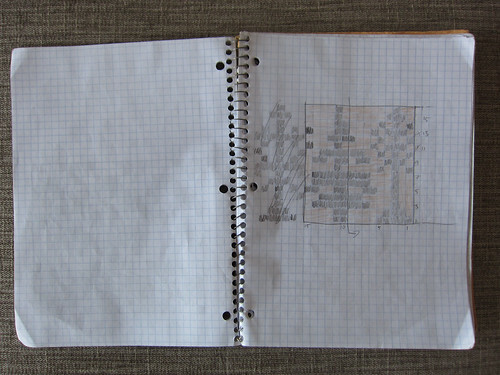 I left off that post with a picture of my initial sketch and key design elements. Now, before I get too heavily invested in choosing specific motifs and stitch patterns, I like to work out a few swatches with the yarn. 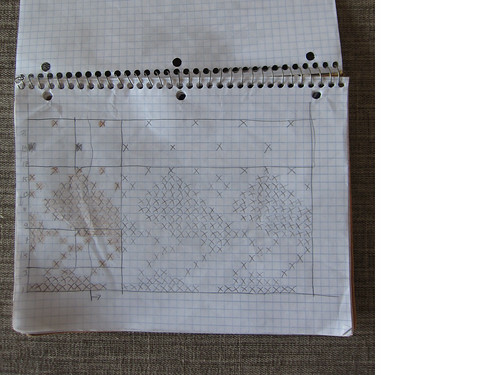 Sometimes I’ll start swatching motifs immediately, if I know I’m going to be working with a yarn with which I am familiar. 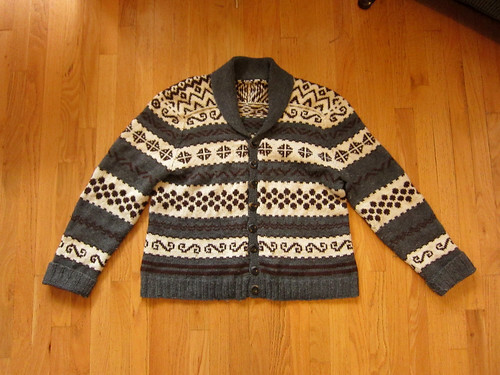 This begs the question: What yarn am I going to use for this sweater? 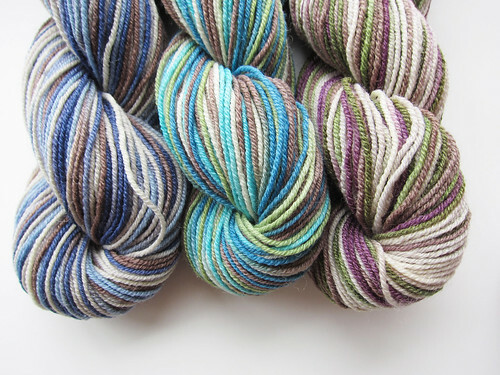 I wanted something in the 20-22st/4″ range (DK to worsted), because I didn’t want it to be too bulky (but also not so fine that it takes forevvvvvver). 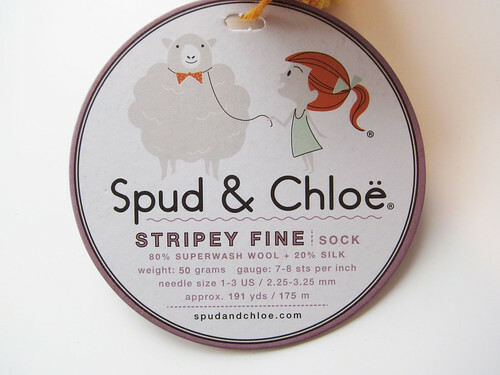 I prefer to work in wool, or wool blends, however the future wearer of this sweater does have moderately sensitive skin, so nothing too “traditional” – that means a superwash or merino wool yarn. I wanted to have a good range of colours to choose from (since I knew I would be working with neutral colours, it was very important to have enough colours to choose from). 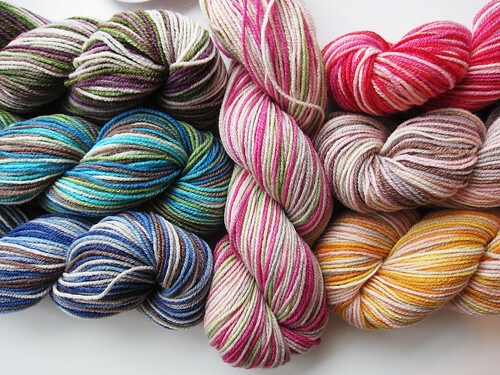 And finally, I wanted it to be relatively inexpensive, so none of my favourite top-shelf fancy hand-dyed, luxury blends for this project. My final choice? 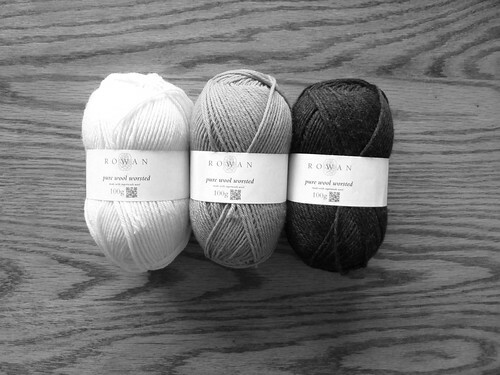 Rowan Pure Wool Worsted. I’d consider it a light worsted, it is reasonably priced, comes in a huuuuuge number of colours, is superwash, 100% wool, and I kind of just wanted to give it a try. 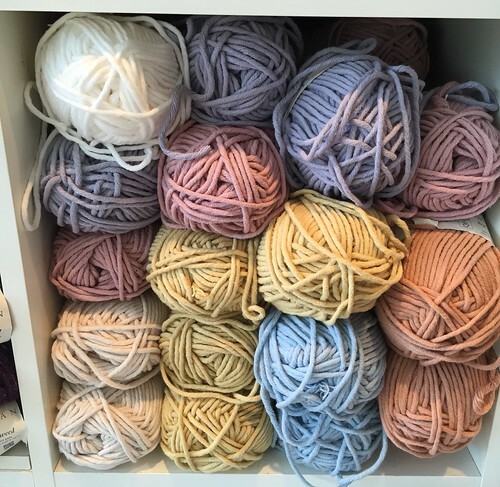 Choosing colours… Well, you may remember my earlier post on colour theory (note to self: work on part 2 of that series) where I focused on the importance of considering colour value when knitting colourwork. 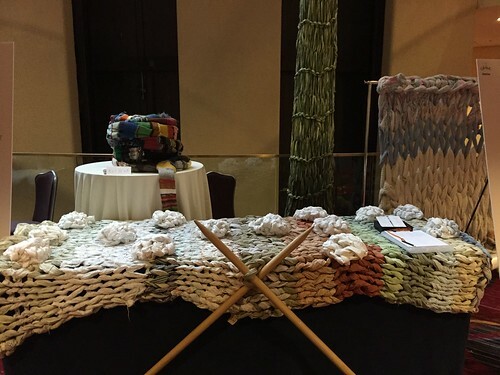 Well, knowing that I was going to be working three yarns that did not differ greatly in hue – paying close attention to value was especially critical for this project! I basically just pulled out all the neutral options we had, and started by getting rid of the ones that didn’t appeal. I immediately tossed the pure white and dark black, as I was worried they would be too dramatic. None of the greys were really calling to me, and my partner had expressed a desire for warmer tones in the sweater, so I opted to stick to creams and browns. I slowly whittled it down to three – no real rhyme or reason beyond ensuring I had a high, low, and mid valued yarn, and three colours that looked nice together. 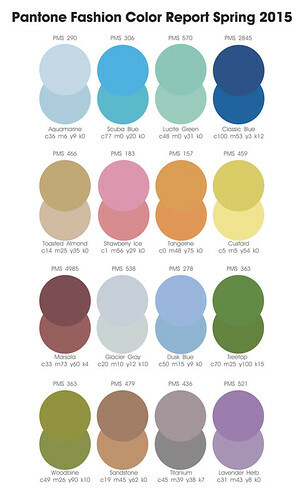 For the record, the colours I chose are 102 (cream), 103 (light brown), and 110 (dark heather brown). Next up was swatching. 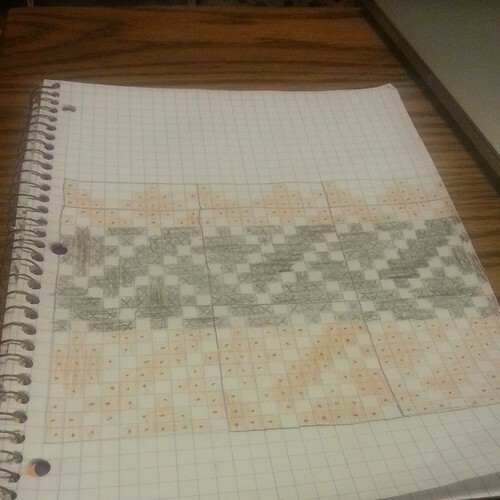 Well, the first phase of swatching. 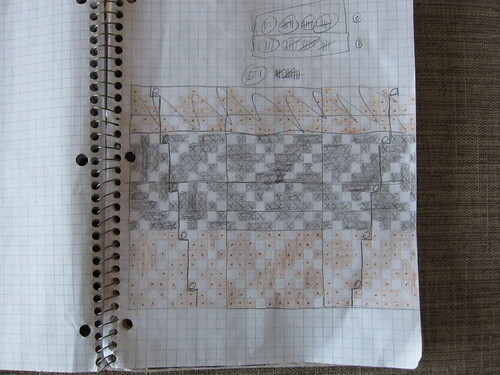 When I work on a large project, it is often an iterative process. In this case, I had a loose idea of the kinds of motifs I wanted, so I just drew from my mental stockpile of easy patterns and went nuts. I always like to swatch with the yarn in plain stockinette (sometimes in a few needle sizes), and then in each of the stitch patterns to be used in the item. Here, I had examples of low density (the lice motif at the top), high density (the crosses and naughts), and mid density (the chevrons) stranded colourwork motifs. 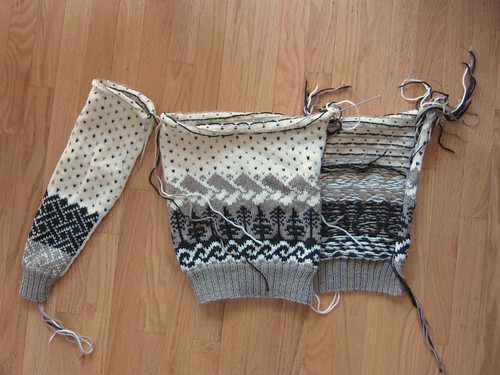 This photo was taken post-blocking, and you can actually see quite clearly just how much firmer the fabric is over a high-density motif – this is clearly going to be a structural concern when planning a multi-patterned sweater (at least 5 or 6 different motifs). 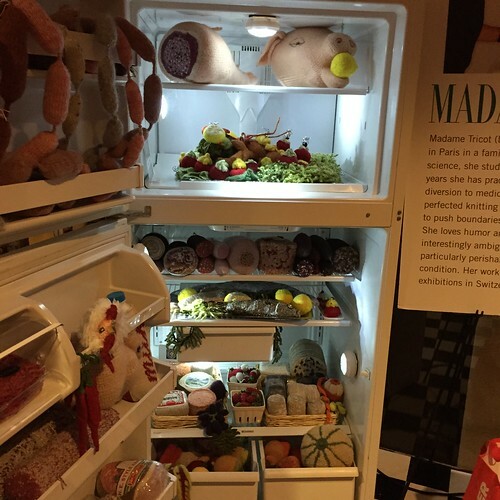 Have you walked past our shop lately? 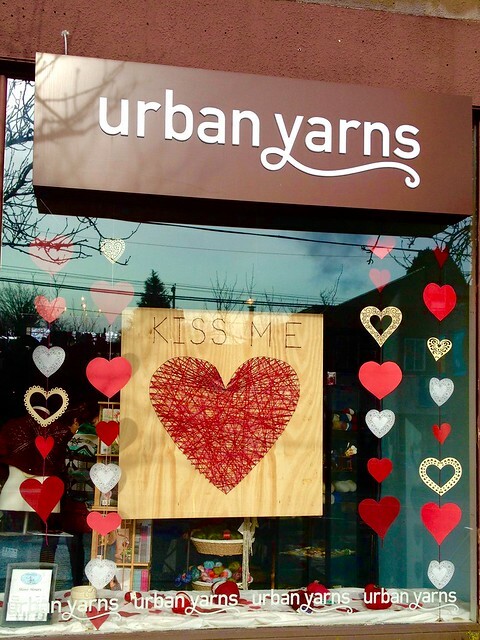 You must come and check out our new window display for February, it is really cool. The Valentines day themed display was created by Kaitlyn Hansen-Boucher, she did an amazing job!! 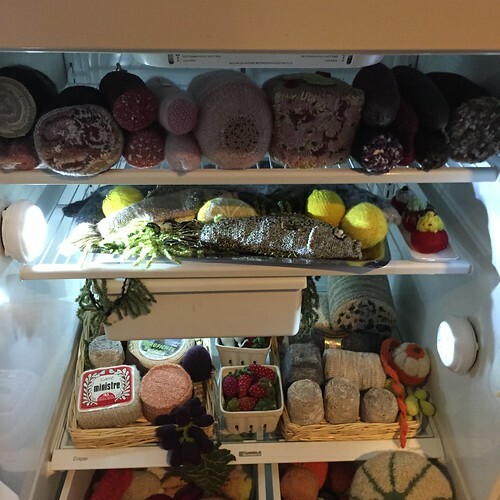 Here is a picture, but really you must come and have a closer look. 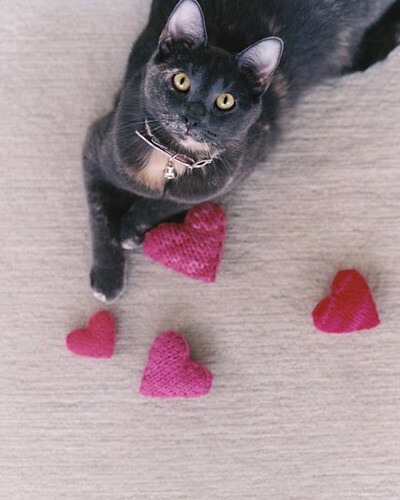 I thought that I would stick with the Valentines Day theme for this blog post as who doesn’t like to receive some warm and fuzzy? 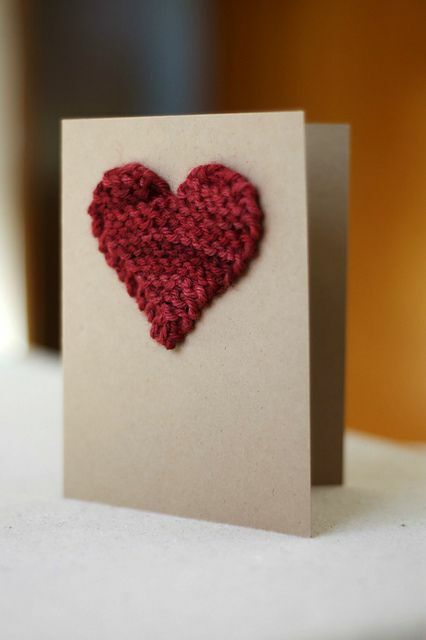 We all could use some love, pass it on- it spreads fast and makes the world a better place Why not celebrate by showing the people you love with a handmade gift? 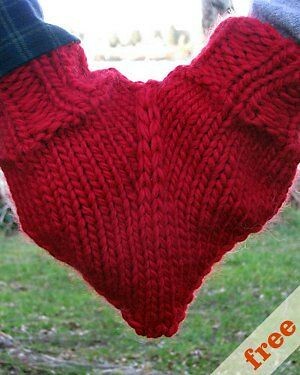 I pulled these ideas together for you, and don’t worry I know that it is next week but a lot of these ideas are super quick and easy knits (I am talking a couple of hours here, not even). And I had to include this one, hilarious! 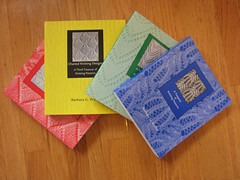 Unfortunately the patterns looks like it is no longer available. Well, that was the start of it. But by no means the end. Here’s the sweater, front and back. 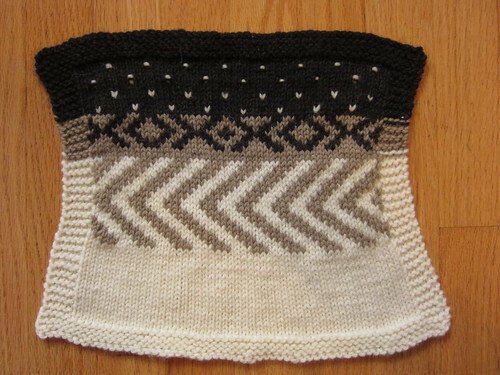 It’s based on an Elizabeth Zimmermann seamless sweater, into which I crammed a bunch of different stranded motifs. Next, we got to planning the new sweater. 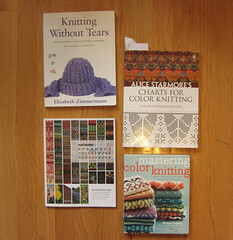 We plunked down in front of computer and started trawling Ravelry. Honestly, it wasn’t terribly productive. There were existing designs that had some elements that my partner liked, but really nothing close to what she had in mind. So we let it mull for a few days, and came back to it later. D’oh! Design mistake 101. People hire designers (graphic, knitting, software, whatever) because we are supposed to be experts. If people know what they want, why go to a professional in the first place? 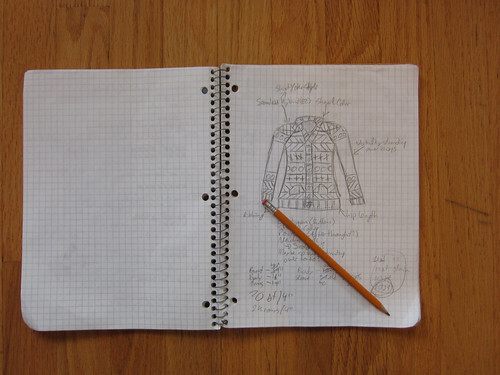 This time, I sat down alone and thought about my original sweater and made a list of what were the strongest, most identifiable features. Let’s be honest, I can sit down and pick out the tiniest, most intricate of details, but I bet that those were not what were appealing. This was good! Next time we sat down I brought a pad of paper and started sketching. This is what we came up with. So, that was the start of it. 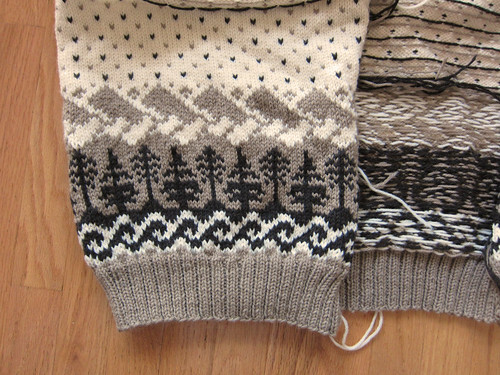 There is of course a lot more involved in making a sweater than just thinking and dreaming! But for now, I think that’s enough for you to mull over. Next time I’ll be back and start talking a bit about the specific design process: measurements, motifs, swatching, yarn selection, oh the list goes on! 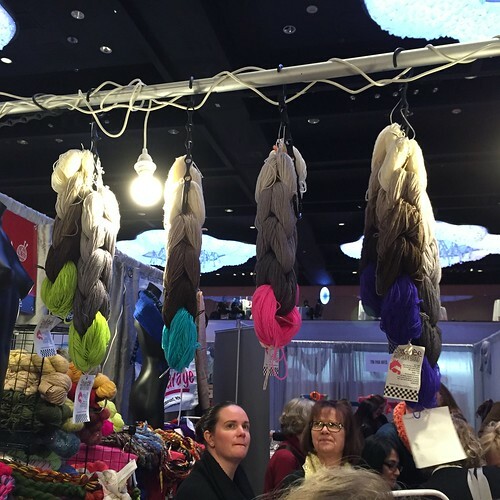 I just got back from NYC where I attended the Vogue Knitting Live conference. Yes I was a lucky one to be fortunate enough to attend this year, so thought that I would share some of my experience with you. It is an event that happens every year in a few cities across the US. It brings in teachers from all over to teach their specialties and offers a large selection of classes as well as lectures to choose from. This year they even had machine knitting courses. 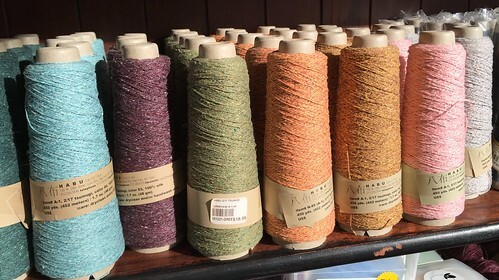 There is a huge market place packed with vendors from all over the states and one from Canada- you may recognize, lanaknits as it is the hemp yarn that we carry in the shop. The market place also has fashion shows, demos, a fitting station, a yarn tasting station, a beginner bar, a book nook, and even an area to relax and get a complimentary back and hand massage! 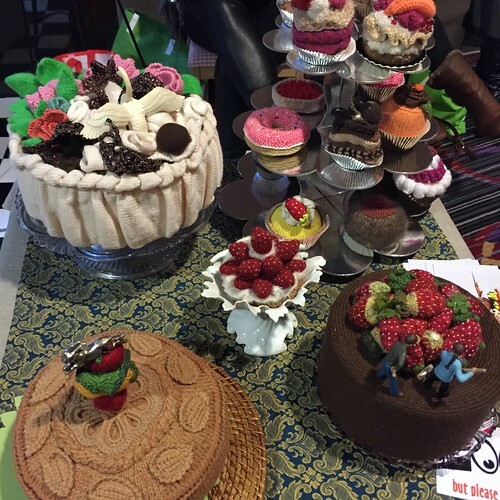 Here are some photos for you to experience the event and to inspire your creativity. Features from the vogue magazine. Now those are large needles! 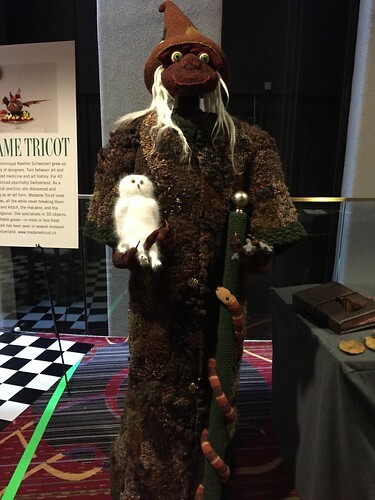 A life size felted wizard. 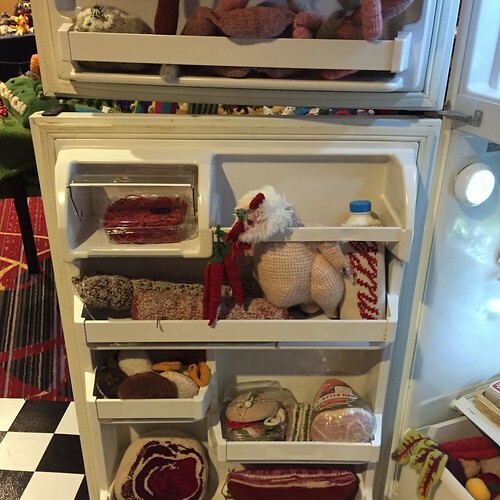 Everything in this fridge was knit, the detail is amazing. 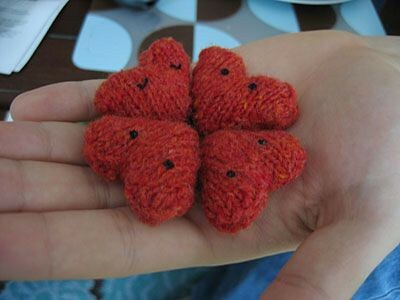 Yes these are completely all knit as well. VK Live NYC was a blast and a big step up from the last two events I attended in Seattle. It was great to see knitting in such a large capacity and popularity in such a fashion forward and trend setting city like NYC. It is too bad that the closer to home location of Seattle was taken off as one of the event venues, lets hope that they will bring it back so that more of us vancouverites can enjoy it too, it is well worth the effort to get there!